Templeharry in Irish is “Teampaill na Carraige” meaning Church of the Rock which aptly describes its elevated location. 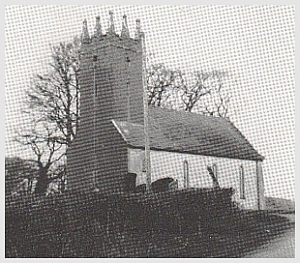 The church belongs to the Church of Ireland and was built in 1798 and was the church in the parish of Templeharry. This parish contained 1156 inhabitants and consisted of 6480 statute acres. In 1799 the parish of Templeharry was united with the Parish of Cullenwaine. Next Door to the church is the rectory which was built in 1812 and was until recently still in church ownership. 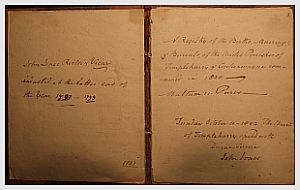 Canon Stephen Neil located the registers which record the baptisms of President Obamas ancestors from the church records. Canon Neil the current rector in the parish also has a shared history with the Rectory as his Great Grandfather Robert Richard Neil lived in the rectory when he was rector of Templeharry from 1910-1916. There is a lot of history associated with the area where the church is situated. Over a century previous to the church being built it was a site of a significant 17th century battle when a large part of the army of William of Orange was destroyed by the O’Carroll’s at the “Bloody Togher”. We also read in My Home place by Nicholas Ryan – Purcell that on the 17th of April 1842, Michael Roberts was returning from service in Cloughjordan on his horse and trap when he was shot dead by an assassin with four bullets in his head. At the age of 37 he was an agent of Richard Burriss the landlord of the surrounding areas of Ballintemple, Ballydonagh, Graffan and Knockbrack all in the old Templeharry parish. Roberts was shot dead people believe because he had evicted somebody from their home when they failed to pay the rent. Numerous people were arrested on suspicion of the murder and the police eventually charge two men who were put on trial. Michael Roberts is buried in a tomb in the church graveyard and on his tomb it reads “Here lies the remains of Michael Roberts who was shot by the hand of an assassin on the 17th of April aged 37 years. His younger brother caused this tomb to be erected to his memory” Roberts was murdered just back up the way at the cross known as Robertson’s cross roads which was named in his honour and according to Ryan Purcell article he claims local people say since he was murdered that Michael Roberts has haunted the road from Robertson Cross Roads to Templeharry church.